« MONSTER DISCOVERED AT SOUTH NORWOOD LAKE. South Norwood Allotment Holders Association (SNAHA), situated off Enmore Road are looking for new members to have their own piece of countryside to cultivate and grown their own seasonal produce. Interested or just curious go and visit, SNAHA are holding an open day on 28th June. Welcome to the South Norwood Allotment Holders Association Ltd. We have been providing allotments in our local community since 1918 and are proud of our small site. 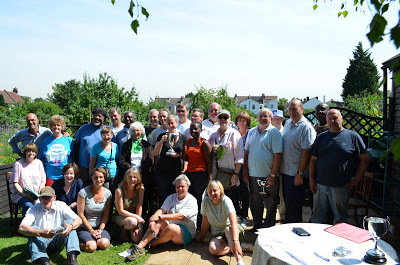 In 2012 and 2013, SNAHA came 1st in the Croydon Federation of Allotments Competition, being a reflection on how well managed the site is.